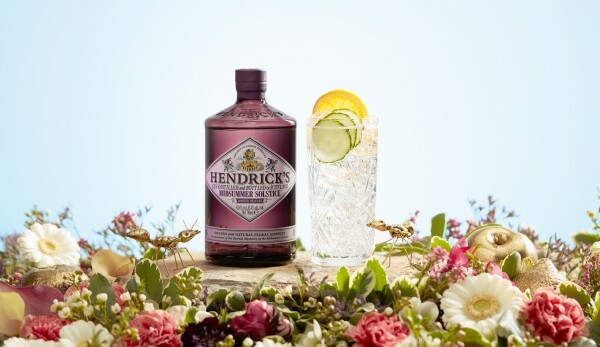 Hendrick’s have answered a global army of gin fans’ prayers with their latest release. For the first time EVER, they are expanding the Hendrick’s range for curious consumers like you and I - and boy is it good. The latest variant released from legendary Hendrick’s Master Distiller Ms Lesley Gracie’s Cabinet of Curiosities, a place of ‘experimental botanical alchemy’ at the Hendrick’s Girvan Distillery in Scotland, which is also known as the Hendrick’s Gin Palace. Midsummer Solstice Gin was inspired by the aromatic intensity of a summer’s day, and created as a tribute to the sensory powers of the Midsummer Solstice, when botanicals (particularly flowers) are believed to be at their most powerful. 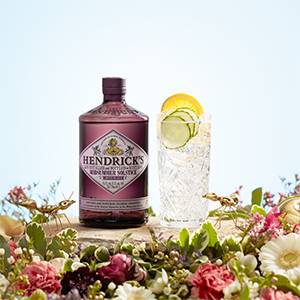 The expression is infused with a secret selection of natural floral essences which accentuate and complement the existing flavours of Hendrick’s that we know and love. 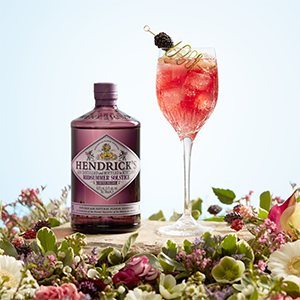 The result is an enchantingly interesting floral gin that is still unmistakably Hendrick’s. Each batch of Hendrick’s Gin is is crafted just 500 litres at a time as Master Distiller Ms Gracie likes to retain maximum control over her careful artistry. And in just the same way that flwoers are ephemeral, limited by nature, Lesley is limited by how much floral essence she can harvest, so Midsummer Solstice is produced in extremely small batches and is a limited release - so don’t miss your chance to get your hands on a piece of Scottish gin history. Nose - juniper adorned to perfection with fragrant zest and deeply floral character. Initial brightness melts to reveal deep undertones of orange blossom and an alluring exotic ripeness. 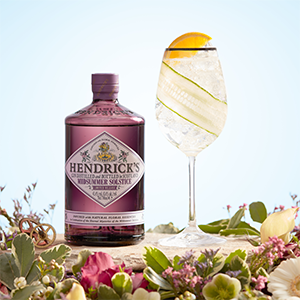 Palate - a bloom of lush flora melts to reveal the unmistakable Hendrick’s House style; juniper, subtle spice, and a mellow floral finish which luxuriates on the palate eventually giving way to the signature rose whisper. Pour Hendrick’s Midsummer Sostice into a highball glass over ice and top with tonic. Garnish and serve. Add all the ingredients to a large wine glass full of cubed ice and stir gently to mix. Garnish and serve.